Lately have you heard about the new Pokemon DS games coming out? There are two of them and they are called Black and White. They are going to come out on March 6, 2011. The legendary Pokemon you get in the Black version is called Reshiram. The legendary Pokemon you get in the White version is called Zekrom. At GameStop these games cost $34.99 each. If you like Pokemon cards and you get packs wishing for Lv.X’s, EX’s, or Prime’s you don’t have to do that anymore. You just can get a tin. They always come with at least one Lv.X, EX or Prime and you get to choose! 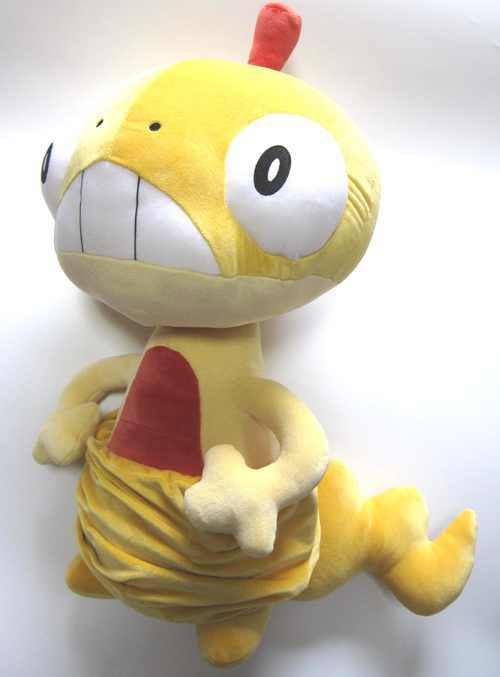 I think for the Pokemon plushes you should get Pokemon Center plushes because they are made officially by Nintendo. For the DS games in between Heart gold and Soul silver I would recommend getting Soul silver. I would recommend getting Soul silver because Ho-oh is a stronger character (at least I think) and you get to catch him at Lv.70. And in between Platinum, Diamond and Pearl I would recommend getting Platinum. I would recommend getting Platinum because it is more updated than Diamond and Pearl. Pokemon has become a worldwide phenomenon, with its limitless merchandise and continuous television series (including movies) bought and viewed almost everywhere. With a total of 649 Pokemon and a new Pokemon fifth generation underway, the quest to catch them all becomes even more challenging. With new abilities, type combinations and battle mechanics in stunning new graphics, what’s not to love? 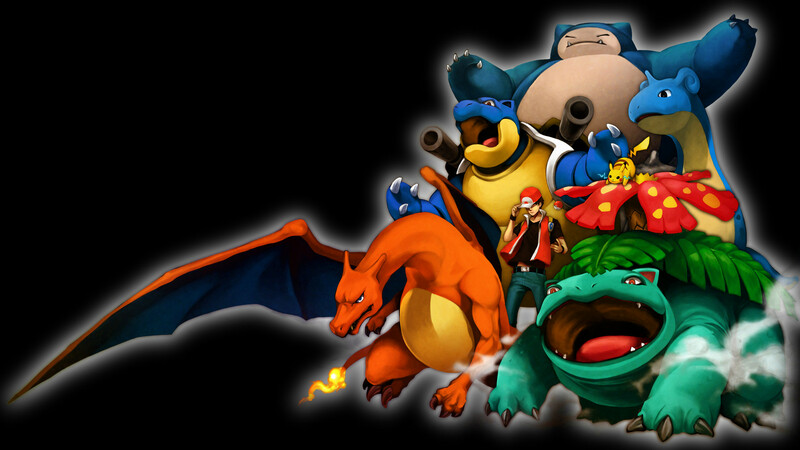 Since the release of Pocket Monsters Red and Blue in 1998 for the US (Red and green in 1996 for Japan), countless of Pokemon fans have risen and continue to do so today as new generations take over for the Black and White versions. On a more personal note, I don’t think I can ever enjoy the new games as much as I did back during the release of Pokemon Yellow. However as I say this, the children who grow up with generation five would probably say something similar for Black and White. As a child, exploring and finding these strange creatures in different areas was exciting and eventually fueled a passion for games. Pokemon Black and White is one of the best game ever, where everything is new! Though catching and raising pokemon is the same, theirs new ways to catch them, and the story is much bigger then before. Now getting badges is not the only thing important to do, but also to stop Team Plasma who wants to free all pokemon from Trainers. New ways to find pokemon are when in the grass, sometimes one will shake, and if you go into it, you will find rare pokemon! When on water, you may see a bubble, and when you swim to it, you will also see rare pokemon, and if your in a cave, you may see a dust ball, and not only could you find pokemon, but you may also find items as well. When on a bridge, you will occasionally see a shadow, and not only will you find pokemon going under it, but you could also find item wings that can raise your stats Evs a little. And now theres another type of grass you can go in, if its darker, you will sometimes battle two wild pokemon at a time, but be careful that you wont be able to catch two pokemon at a time, so you will have to defeat one to catch one. In Johto, Eevee can evolve into two different pokemon depending on how they are raised. If you train Eevee during the day, it’ll evolve into Espeon, but if you train it at night, it’ll evolve into Umbreon. Espeon is a psychic type, while Umbreon is a dark type, and both have advantages and weaknesses. Espeon is weak to dark, ghost, and bug types, but is strong against fighting and poison types. Umbreon is weak to fighting and bug types, but is strong to psychic and ghost types. With Espeon’s stats, its special attack, special defense, and speed is high compared to it’s other stats. Umbreon however, it’s highest stats are its HP, defense, and special defense. Both Umbreon and Espeon are very popular compared to the other eevee evolution’s, in both games, and merchandise. From cards, to figures, to plushies, they are one of the top sellers from around the world. To some, Umbreon is one of the best dark types ever, and some think Umbreon is number one from all the other Eevee evolution’s, and the same goes to Espeon. Both Espeon and Umbreon have also stared in the anime on more then one episode, and even had a cameo in the pokemon movies. And in the anime, there are a few characters that have Umbreon and Espeon as one of their pokemon. Gary, and Dawn’s mother owns an Umbreon, while Annie from pokemon movie five, and Sakura had an Espeon. Their are other people in the anime and the movies that also had these two pokemon, as well as in the games too. In all, they are both awesome pokemon to have, and like all other pokemon, are fun to raise in games to become one of your top partners ever. When you begin your pokemon journey, you start out with either a grass type, a water type, or a fire type pokemon. Which ever one you begin with will be your partner, who will help you overcome tough situations. Now to find five more pokemon to your team, which your allowed six pokemon total. The first thing is to figure out which types of pokemon that will help you on your journey. A Flying type can give you ad by flying you from town to town when you win a certain amount of badges. And Flying types has an advantage against bug, and grass types, and are not affected by attacks such as earthquake. But they are weak when it comes to electric types, so watch out. A Water type, if you didn’t choose a Water pokemon as your starter, can surf you to islands and places that are on water, and are strong against rock, and ground types. Originating in October 1996 Pokemon TCG (Trading Card Game) has been a popular market sector for a wide range of aged people. Whether it be Collecting, Playing, Trading or Selling, the Cards have provided many hours of fun. This guide is aimed towards those of you who collect the cards, and will hopefully aid you to further expand your Pokémon Card Collection. Below shows a table of contents so you can visit the appropriate section! – So What Cards Can I Buy? – Where Can I Buy Cards From? – Summary How Do I Store My Cards? – What Cards Do I Want? Turtwig, or Naetle in Japanese, is an adorable turtle-like Grass Pokemon. He is #387 in the National Pokedex and is the grass starter for Sinnoh region in the Generation IV games. He is mostly green and brown, with a little twig growing out of the top of its head. His shell is actually made out of soil, and is slightly soft and moist. Your rival in Diamond, Pearl and Platinum would choose Turtwig as their starter if you chose the water Pokemon, Piplup. Turtwig evolves into Grotle at level 18, and into Torterra at level 32. Turtwig and his evolutionary line are the third set of turtle Pokemon, following Squirtle, Wartortle and Blastoise of Generation I, and Torkoal in Generation III. In Generation V, a fourth line of turtle Pokmemon were introduced; Purotooga and it’s evolved form Abagoura. Turtwig is the only turtle Pokemon of the Grass type. Turtwig’s highest base stat is Attack, closely followed by Defense. It’s worst stat is it’s Speed, which makes sense as Turtwig is a turtle Pokemon. Since Turtwig is a grass Pokemon, he is strong against Ground, Rock, and Water type Pokemon. He is weak against Bug, Fire, Flying, Ice, and Poison types. Its strongest Special Attack is Leaf Storm, which it learns as a Torterra at level 45. Many people think the new Black and White Pokemon characters look strange. But why is this? I think the reason is because the Pokemon company switched their design team. The biggest lost is the fact that Satoshi Tajiri hasn’t worked on the games since the days of Gold and Silver. This is probably the main reason why Generation III and Generation IV Pokemon looked so different from Generation I and Generation II Pokemon. Generation V which is just coming out will probably look just as strange. There is a team of people that are in charge of designing the monsters. They come up with all the ideas. They decide which ones are the best and refine them into the final characters. After that, Ken Sugimori draws the chosen designs. In the first generation, there was a group of four people including Ken Sugimore. Satoshi Tajiri, the creator of Pokemon, had the role of approving the monsters and suggesting changes after the basic ideas were designed. Presently, Junichi Masuda took over after Ruby Sapphire.